Lively environment of the old city center awakens creativity and artistic spirit, which is the main reason why numerous memorable places to suit all your needs can be found here. This is the natural stage for exciting businesses and traditionally-decorated places that scream of vintage spirit. Emerge into the world of our community and allow yourself to forget the worries of the outside world. Listen to all the inspiring stories and explore the charming local stores, coffee shops, restaurants and bars. We recommend only the finest and most intriguing local businesses, with whom we share the desire to spread spirit of friendship and coherence. Fife – one of the trademarks of Split, a very specific tavern at Matejuška pier, that advertises itself with the phrase: „ Lousy service – excellent meal“. Here you will try traditional cuisine at low prices, which is the reason even the locals love coming here. Paradox – carefully selected offer of excellent cheeses and other delicious bites, accompanied by the best wines from across Croatia can be found in this wine &cheese bar near the National theater. Paradigma – a modern, elegant Mediterranean restaurant with a rooftop terrace that offers exquisite view over the Riva. It has an excellent offer of Dalmatian dishes together with the best wines to pair your meal. Creme de la Creme – a perfect place for your sweet moments, where you will find nothing but the finest cakes and the perfect coffee. Popaj – synonym for quality fast food in Split. Located just next to the Fish market and offering wide range of delicious sandwiches, Popaj is a place to go if you are hungry and wan’t to eat quick, but tastefully prepared meal. Kruščić – artisan bakery located near Marmont street, with smells that invite everyone who passes by. 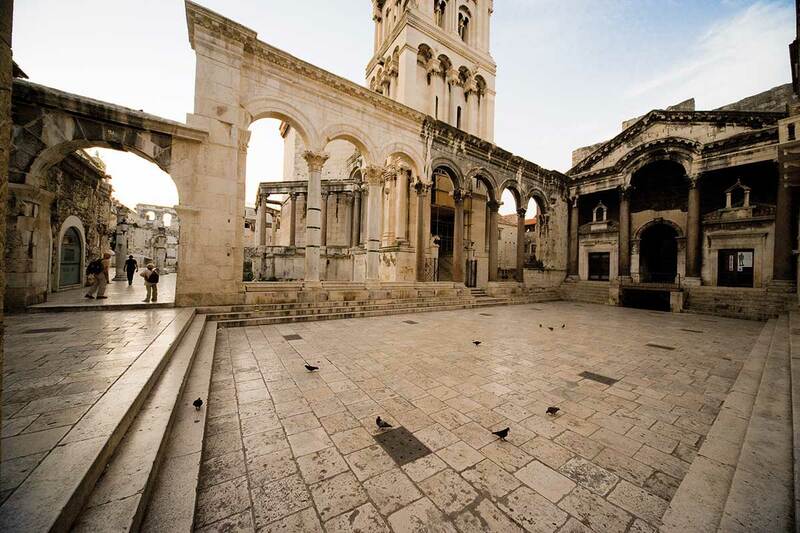 A must-try is definitely Emperor Diocletian’s bread – with honey and goat’s cheese. Goli & Bosi – enjoy the luxury of the best hotels at low prices in this most interesting hostel that will absolutely charm you. This design hostel, with its dominating bright yellow color is definitely something worth visiting and staying at. Figa – a specific vibe is coming from this lively restaurant/coffee shop situated in a small alley in Diocletian’s palace with interesting offer of quality food. Sit down to enjoy your nibbles and sip excellent wine while observing the people passing by. O’Hara – night club situated near the sea boasts to be the place where locals and tourists enjoy together. Following its tradition, O’Hara offers ultimate parties with excellent music choices. Zinfandel – trendy food & wine bar which tells its story through tasteful organic Dalmatian food and suitable wines to complete the experience of an interesting interior design. Istah bar – Turkish specialties and finger food made by traditional recipes. „Best kebab in the city“. F caffe – natural meeting point for a cup of coffee to everyone coming or going by ferry. 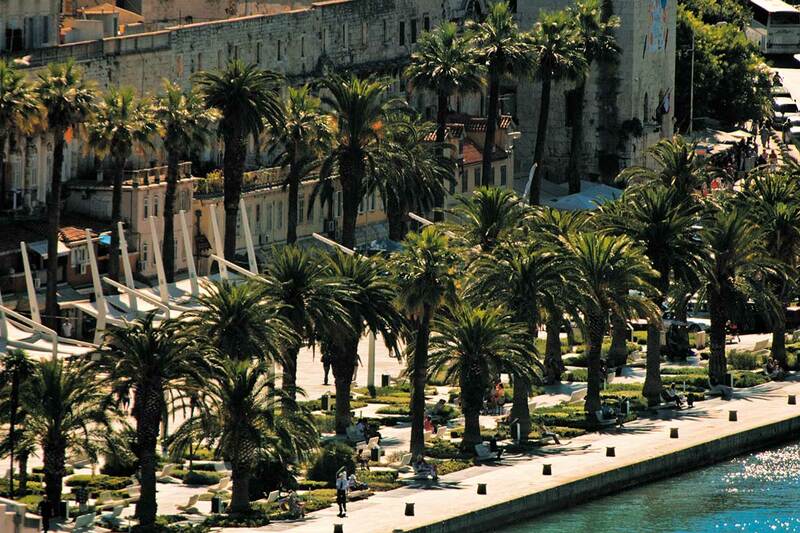 Situated at the beginning of Riva and Diocletian’s palace, F caffe has a great offer for all kinds of tastes. Morpurgo library – the third oldest bookstore in Europe and former center of cultural and political life of the city, still stands on its original location at People’s square and attracts everyone by its vintage spirit. Year 2010. was the 150th year of Library’s existence. Mali dućan (Matejuška) – best described as „Little Shop Of Beers And Split Spirit“, Mali dućan at Matejuška pier is a place for gathering, with more than 100 kinds of beer from all over the world. Pazar (Green Market) – the hub of the city center, Pazar is a place to find fresh fruits and vegetables, as well as other local products from the eco farms. 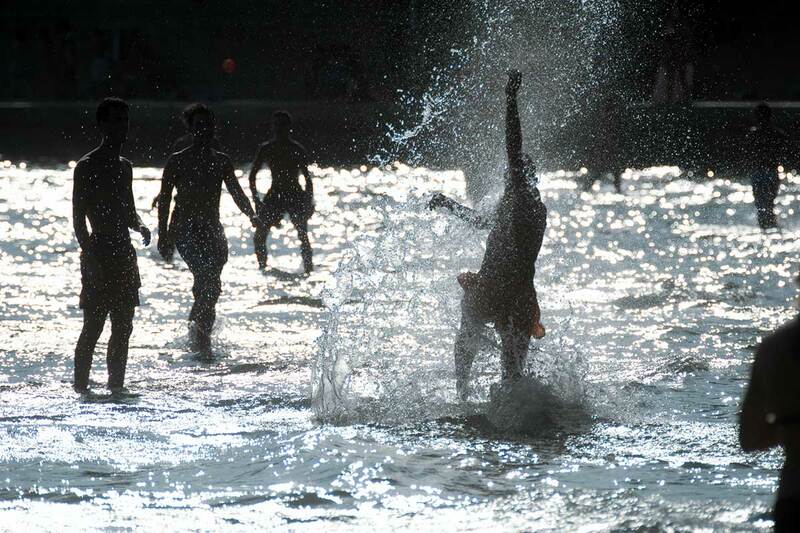 It is also the place to enjoy the hustle and bustle, bargaining and small talk of local people. 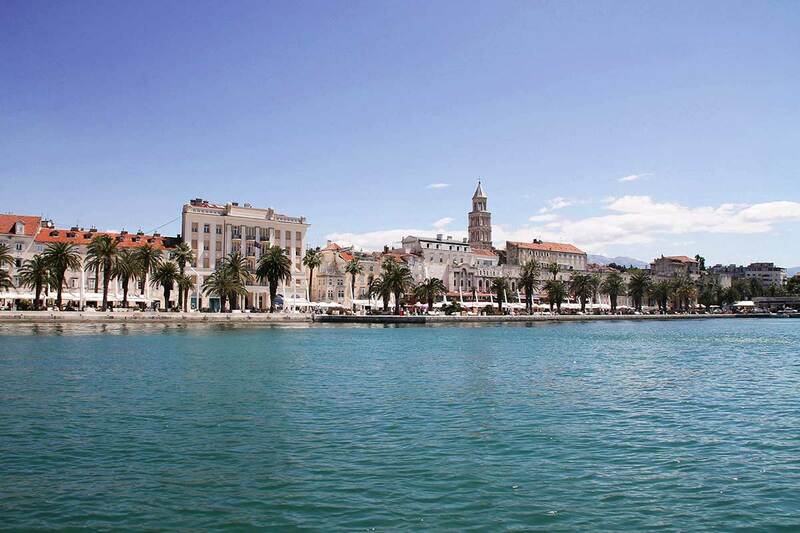 Bio Bio – explore the health zone of Split, with rich offer of eco products, natural food additions and organic cosmetics. Enoteka Terra – set out in a beautiful environment behind Split’s most famous beach Bačvice, this place offersexcellent choice of world famous Croatian wines. Galerija Meštrović – an oasis of architecture and stone sculpturing in Split, legacy of the „Croatian Michelangelo“ – Ivan Meštrović. 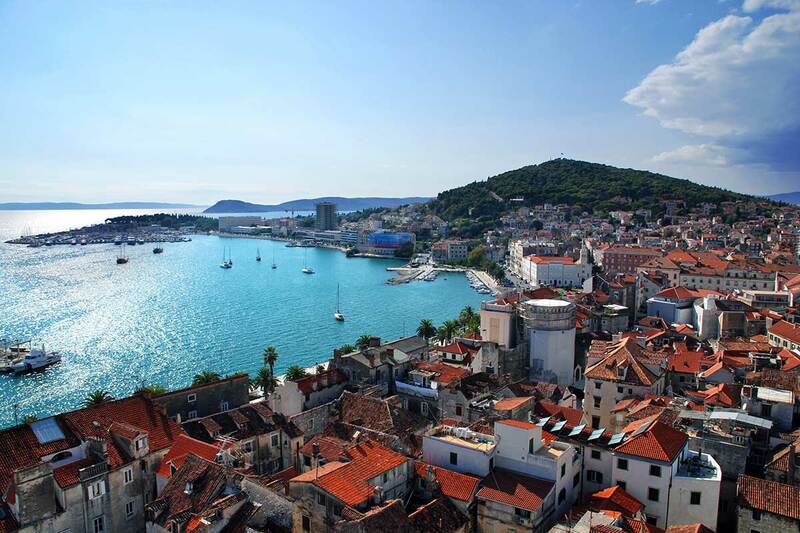 Built in the 1930s, this gallery assembles all the works of the famous Croatian artist. Today, the holdings contain 192 sculptures, 583 drawings, 4 paintings and 291 architectonic plans, as well as documentation relating to Ivan Mestrovic’s life and work. Dioklecijanova palača – the biggest attraction in the city, former residence of a Roman emperor, out of which today’s Split emerged. Billa – the closest supermarket to Šugaman tours agency, located in the very city center, offers great choice of everything you will need. Academia Ghetto Club – The most bohemian of the bars in the Diocletian’s Palace, a place where arty locals mingle with tourists in an open courtyard. You can taste some of excellent Croatian beers here and enjoy the spirit of summer and friendship that is always present.